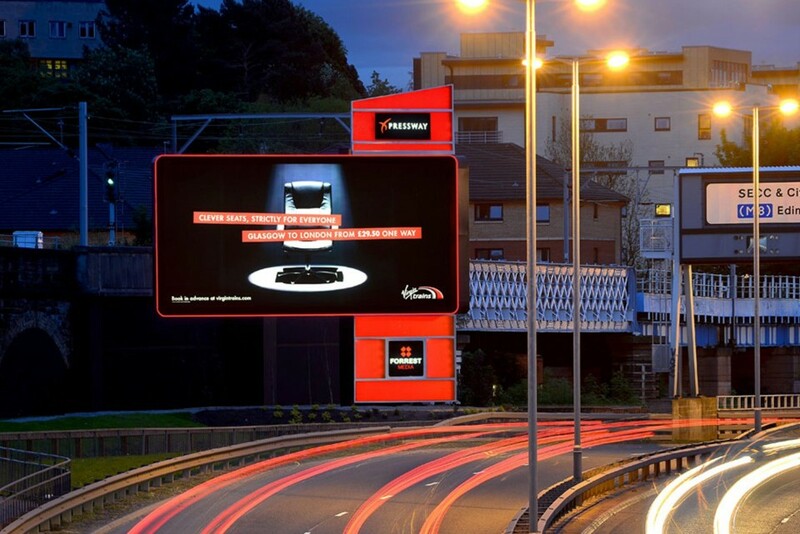 In 2014 Forrest launched a spectacular new LED backlit advertising tower on the iconic Clydeside Expressway. To maximise the impact of this prestigious site Forrest again approached Bright Green Technology to help take the site to the next level. This is a unique advertising display, each face displays 50 square metres of hi-resolution image, illuminated by state of the art LED technology – 100% brighter than standard backlights. The perimeter mouldings feature unique LED ‘HALO’ lighting, with exact colour matching to the advertiser’s specific pantone reference. Additional strategically placed LED lighting will bring the stunning surrounding landscaping to life, again to suit the colour scheme of the client’s campaign. 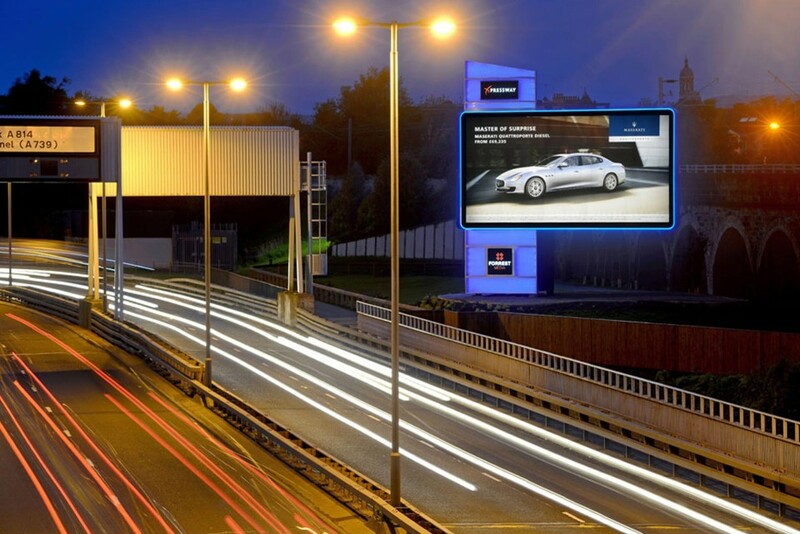 These LED systems combine to give the advertiser the potential to dominate this area to the side of this notoriously busy stretch of road in Glasgow. Read the full Clydeside Expressway Case Study (PDF).